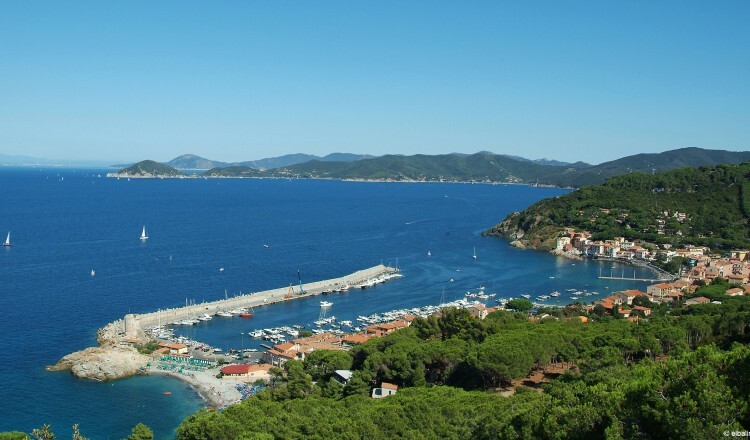 Along the northern coast on the island of Elba we have apartments, houses and villas for rent: in Marciana Marina, Procchio, Sant’Andrea and Patresi, directly on the sea, on the countryside or in the village, all selected and controlled by us in order to assure you a relaxing vacation. Marciana Marina, one of the most picturesque villages of the island, is framed like a precious jewel among the rocky cliffs.On one side you find the old harbour, in the back the granite massif of the Monte Capanne mountain and on the other side the small touristical harbour protected by the anciant Pisan Tower. The town counts 2.000 inhabitants and is famous for its touristical value and services. A long sandy beach with all types of watersports and and a vivid little village with bars, restaurants and shops of all kinds. 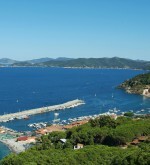 Beacause of its central situation on the island, Procchio is ideal as departure point to visit the numerous beauties of the island. An island on the island. On the western coastline Sant’Andrea hosts a beautyful little creek with a white sandy beach and the famous flat cliffs on both sides. Ideal for a relaxing family vacation. Patresi Mare, 3 km after Sant’Andrea with a little pebble beach. Departure place for boat excursions to the numerous isolated beaches in the surroundings. FACILITIES AND SERVICES (in shopping centers or spread over the territory): restaurants, bars, pizzerias, drugstores, banks, post office, shops of all kinds, discos, nightly entertainment. SPORT: sailing schools, windsurf, diving centers, filling stations for diving bottles, tennis, golf, horse riding, rental of cars, boots, scooters, bicycles. Our offices are in Marciana Marina, a small village on the sea on the north-western coast of the island. The professionality, the knowledge of all touristic structures and the island in general, as well as the direct presence on Elba guarantees our work and our permanent assistance. We can also take care of the ferry bookings and send the tickets directly to your home adress.Along the northern coast on the island of Elba we have apartments, houses and villas for rent: in Marciana Marina, Procchio, Sant’Andrea and Patresi, directly on the sea, on the countryside or in the village, all selected and controlled by us in order to assure you a relaxing vacation. We can also take care of the ferry bookings and send the tickets directly to your home adress.